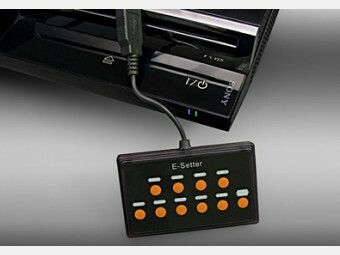 Accessories : PS3 E-setter, output resolution switch, USB - SHOP01MEDIA - console accessories and mods, retro, shop - One Stop Shop! 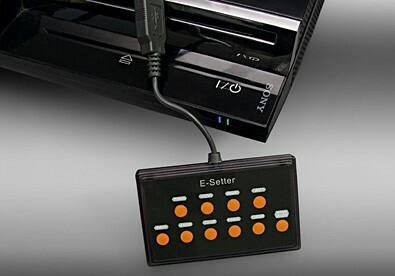 The e-setter is a device for users to set up the output resolution easily, switch a buttons and get set up in a few seconds.The e-setter is a device for users to set up the output resolution easily, switch a buttons and get set up in a few seconds.It solves an annoying problem of black screen when switching your PS3 from one TV to another. People who have 2 or more TVs at home wanting to move the PS3 to play on another TV, may find that there is no picture display after moving because the output resolution is different on each TV. They would have to set the PS3 back to original setting on their current TV before move to another TV. Setting the output of PS3 is complicated, and takes up to half hour to do so. 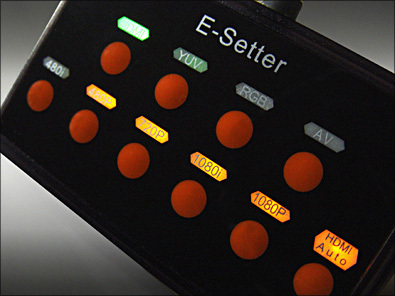 The e-setter is a device for users to set up the output resolution easily, switch a buttons and get set up in a few seconds.